What are 'tender age' shelters? Trump has announced that he will sign "something" to keep families together. Among the detention centers along the U.S. southern border with Mexico, the youngest immigrant children separated from their parents are being held in at least three "tender age" shelters in South Texas. The Trump administration's "zero tolerance" policy leading to the separation of families ignited widespread outrage, but when details emerged about how babies, toddlers, and children with special needs are being held in facilities isolated from their families in a recent Associated Press report, it set off a new wave of criticism. In response to the latest backlash, President Donald Trump signed an executive order Wednesday that he said will "keep families together" but the fate of the youngest children caught in the middle of the crisis remains unclear. There are three "tender age" centers along the most southern tip of South Texas. Sitting nearly 300 miles outside of Houston, these shelters are located in the towns of Combes, Raymondville and Brownsville, according to the AP. The AP reported that a fourth is expected to open in Houston. 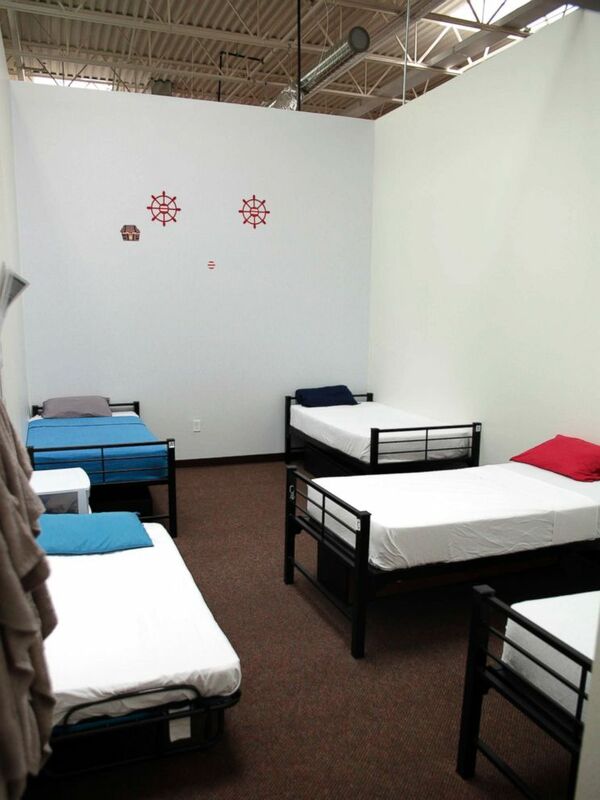 (HHS' Administration for Children and Families via AP) This undated photo provided by the U.S. Department of Health and Human Services' Administration for Children and Families shows part of a shelter used to house unaccompanied foreign children in Brownsville, Texas. Of the 4,548 individuals apprehended on the southwest border between May 5 — when the "zero tolerance" policy started — and June 9, officials say 2,342 are children. There are no statistics for the number of children under five or two years old that have been separated from their families, according to Brian Hastings, Border Patrol Acting Chief of Law Enforcement Operations. What classifies a child as 'tender age'? Border Patrol officials said children under 5 fall under the definition of "tender age." Border Patrol chiefs in the field have generally referred to children "of less than 5 being tender age," Hastings said. But according to an official from the Department of Health and Human Services, a "tender age" child can be up to 13 years old. "We have specialized facilities that are devoted to providing care for children with special needs and tender age children as we define as under 13 would fall into that category," Steve Wagner, HHS Acting Assistant Secretary, Administration for Children and Families told reporters Tuesday. Why are 'tender age' children being held in these shelters? Following the roll out of a "zero tolerance" immigration policy, a Border Patrol official describes the enforcement process as discretionary. There is "no blanket rule" for separating young children from their parents. "It’s a matter of discretion from Border Patrol sector chiefs" on whether children and parents are separated, Hastings told reporters. "We manage this population so that we’re putting kids in the shelter that is most appropriate for their needs," Wagner added. "We do not put tender age kids in the soft-sided shelters at Tornillo or Homestead," he clarified. "They are going to what we call permanent shelters so they can receive appropriate care." Administration officials also told reporters that "only older teens" are assigned to the Tornillo, Texas facility. What is it like inside these shelters? Inside the Casa El Presidente shelter in Brownsville, Texas, Rep. Joaquin Castro, a Texas Democrat, was among a group of lawmakers given a tour Monday of the "tender age" shelter. "It was jarring," Castro told ABC News. "There was a room called the infant’s room, and there were four or five young children and two of those children had been separated from their parents. One of them named Roger was 8 or 9-month-old who they said his mother had died. And he was separated from his sister who had come here to the country with him and the other one was a 1-year-old girl named Leah." 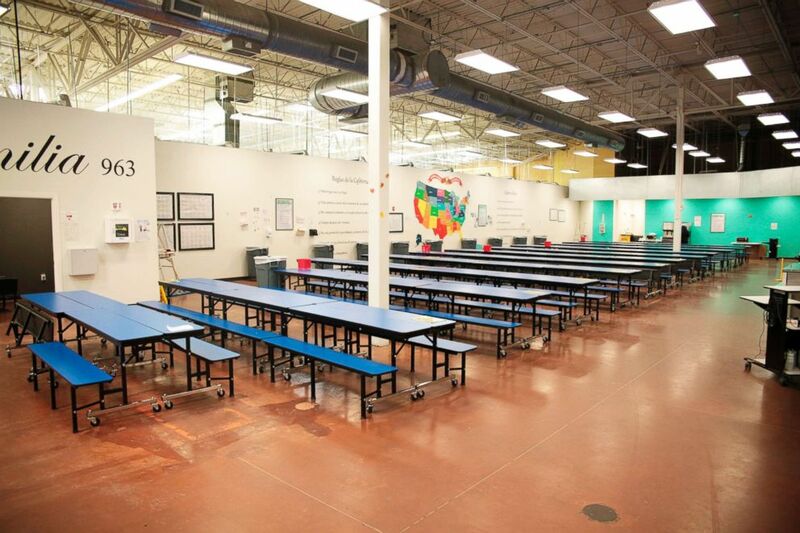 The conditions of these shelters are overshadowed by reports of children feeling traumatized after being separated from their parents. Doctors and lawyers who visited the shelters told the AP that the "tender age" facilities consist of "playrooms of crying preschool-age children in crisis." An HHS official countered that statement, telling reporters Tuesday that "in the permanent shelters, the kids are receiving a full-range of services." These services include education, nutrition, hygiene, recreation, entertainment, medical, mental health and counseling, according to an administration official. "They are under constant supervision and observation to address any health or medical concerns while they are in our care," the HHS official added. Wagner said that the Department of Homeland Security is obliged to transfer unaccompanied alien children (UAC) within 72 hours. "We are under legal obligation to try to place them expeditiously with sponsors," he said. "We actually don’t have a time limit in terms of days." DHS cannot "detain a family unit longer than 20 days" by law under the Flores agreement, according to Wagner. "When a family unit presents at a port of entry that is the lawful way to seek asylum we will process them as a family unit" and turn them over to Immigration and Customs Enforcement agents. Todd Owen, Customs and Border Patrol Assistant Commissioner, Office of Field Operations, explained that families "are not separated at the Ports of Entry" at the border. Members of Trump’s own party are criticizing him and his administration for putting forth a "zero tolerance" policy that has led to the separation of families. Congress has made repeated calls to the administration to take unilateral action to halt the enforcement of this immigration approach. "'Tender age shelters' is a chilling phrase we will not soon forget," Sen. Orrin Hatch tweeted Wednesday morning. Hatch, a Utah Republican, also led a group of 12 senators in writing a letter to Attorney General Jeff Sessions pressing him to end the practice of separating families. "We have read with increasing alarm reports of children being separated from their parents at the southern border," the letter reads. "Although enforcing our immigration laws is an essential responsibility of the federal government, it must be done in a way that is consistent with our values and ordinary human decency." Sen. Jeff Flake joined the chorus of criticism against Trump, demanding in a tweet Wednesday, "End the policy, Mr. President." Rep. Beto O’Rourke, a Democrat from the 16th Congressional District of Texas representing El Paso, said his 7-year old son asked him if these young children in detention centers did "something bad?" Former U.S. Attorney General under President Obama, Eric Holder, said in response to reports of the "tender age" shelters that the Trump administration "brought shame to the nation. We are better than this." In Texas, the only state leader to support the administration's “zero tolerance” policy is Attorney General Ken Paxton. "The separation of families should never be a desired outcome and my heart goes out to these children being used as 'pawns' in a political debate," he told the Texas Tribune. "The Trump administration is following the law." The Democratic nominee running to unseat Paxton, Justin Nelson, responded Wednesday on Twitter, writing, "This must end." The American Medical Association sent a letter to the Trump administration Tuesday, calling for the withdrawal of the current immigration policy. "It is well known that childhood trauma and adverse childhood experiences created by inhumane treatment often create negative health impacts that can last an individual’s entire lifespan," Dr. James Madara, the chief executive officer of AMA, wrote. "The AMA believes strongly that, in the absence of immediate physical or emotional threats to the child’s well-being, migrating children should not be separated from their parents or caregivers." The AP also spoke with medical and law professionals who saw these centers holding "tender age" children first-hand. They said that while the centers are clean and sanitary, it is the crying children that are causing increasing concern over this policy. "The shelters aren’t the problem, it’s taking kids from their parents that’s the problem," South Texas pediatrician Marsha Griffin told the AP. "Children are biologically programmed to grow best in the care of a parent figure. When that bond is broken through long and unexpected separations with no set timeline for reunion, children respond at the deepest physiological and emotional levels," Alicia Lieberman of the Early Trauma Treatment Network at University of California, San Francisco, said in an interview with the AP. "Their fear triggers a flood of stress hormones that disrupt neural circuits in the brain, create high levels of anxiety, make them more susceptible to physical and emotional illness, and damage their capacity to manage their emotions, trust people, and focus their attention on age-appropriate activities." What is the Trump administration saying? Defending the administration’s use of these shelters for "tender age" children, Wagner, the HHS official, specified that the centers are not "government facilities per se." "They have very well-trained clinicians, and those facilities meet state licensing standards for child welfare agencies, and they’re staffed by people who know how to deal with the needs — particularly of the younger children," he said. Responding to critics who call the detention of children "inhumane," Acting ICE Director Tom Homan went on the offensive Wednesday morning, saying it was "inhumane" to bring a young child across the border in the first place. "It is not inhuman," Homan said. "What is inhumane putting your child in the trunk of a car. What is inhuman is taking child across that river. If they want to see images that's inhumane, I invite any reporter, come to my office and I will show you images." "Separating families is unfortunate and sad but we have to enforce the law," he told "Fox & Friends." 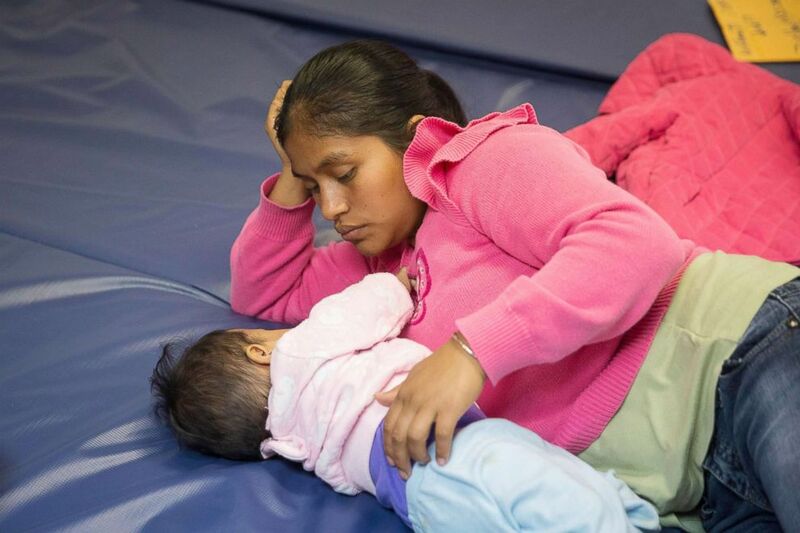 (Loren Elliot/AFP via Getty Images) A Guatemalan woman and her infant daughter seeking asylum pass time at a Catholic Charities relief center on June 17, 2018, in McAllen, Texas. They went to the center for assistance after being released from detention through "catch and release" immigration policy. He also described the "vast majority" of these children in ICE detention as "not part of a family" and said they were "smuggled" into the country by "criminal organizations." "These weren't children taken away from parents. These were children smuggled into this country by criminal organizations. These parents separated themselves." "We have to stand by the rule of law," he urged. "That is our job as a nation." An official at HHS told reporters Tuesday that since the policy is relatively new, HHS is still "working through" a process to reunite families. "We don’t know how many of separated parents have been placed or reunited with parents," he said. "We are still working through the experience of reuniting kids with their parents after adjudication."